The value stream is the overall high-level sequence of steps necessary to take a product or service from start to finish (and the delays that occur between steps). 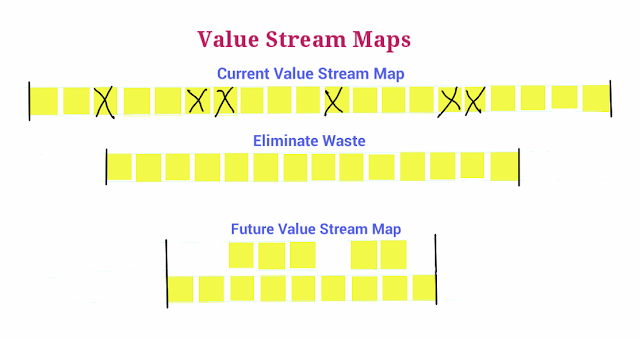 A value stream is the “end to end” process, as opposed to just looking at one department or one function. For example, it might be all the steps necessary to take an animal presented with an illness to a condition where it is healthy enough to go home. Ideally, each step should move the product along towards that which the customer values, and be devoid of any waste. Value stream thinking helps us break down silos that interfere with delivering value to the customer. The current state map is created by going to gemba with all stakeholders present in order see and record all the steps (and delays). Then, all unnecessary waste is identified and removed. Finally, any steps that can be performed concurrently, combined or need to be rearranged are changed in order to create the future state map. 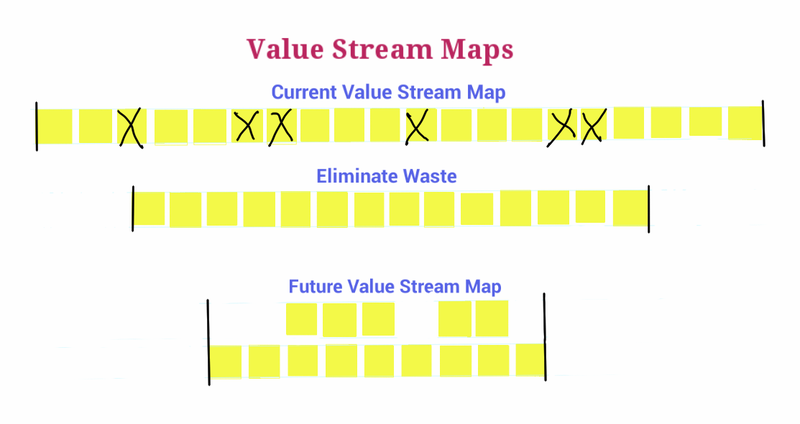 Organizations create value stream maps to help people understand the big picture and how to improve things systemically. A current state map documents how things are today, while a future state map is used to create a vision and a plan for an improved system.